A gift to hand down through the generations. This downloadable file of the series contains 155 songs organized around the seasons of the year, the sacramental life of the congregation, and the special days of the black church. The music selections cover multiple genres that demonstrate intergenerational connections between the music of the past and that of the present and the future in order to encourage all of God’s people to sing. The download includes pew and accompaniment sheet music, vocal and instrumental tracks, accompaniment tracks (where available), and two PowerPoint lyrics presentation options, as well as worship singing instructional guidelines.The resource emphasizes congregational singing, sensitivity to regional differences, and inclusion of several cultures and dialects present predominantly black United Methodist churches in North America. Part of the Africana Hymnal Project of The United Methodist Church, this resource is a bridge between the past, present, and future of black sacred music. 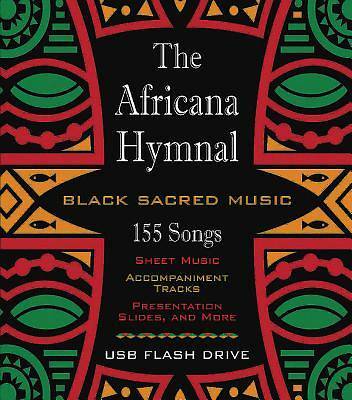 This USB Flash Drive series contains 155 songs organized around the seasons of the year, the sacramental life of the congregation, and the special days of the black church. The music selections cover multiple genres that demonstrate intergenerational connections between the music of the past and that of the present and the future in order to encourage all of God’s people to sing. The flash drive includes pew and accompaniment sheet music, vocal and instrumental tracks, accompaniment tracks (where available), and two PowerPoint lyrics presentation options, as well as worship singing instructional guidelines.The resource emphasizes congregational singing, sensitivity to regional differences, and inclusion of several cultures and dialects present predominantly black United Methodist churches in North America. Part of the Africana Hymnal Project of The United Methodist Church, this resource is a bridge between the past, present, and future of black sacred music.